The Selma to Montgomery March was a significant event that took place during the Civil Rights Movement during March 1965. The event had profound effects that can be felt today. 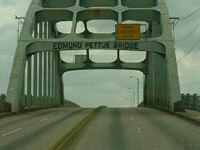 You are a group of journalists who have been sent to Selma, Alabama to record the events that would be taking place during March 1965 as African Americans struggled for Civil Rights. At the end of your assignment you will develop a special issue on these events for your hometown paper. Develop and assign the needed roles for each member of your group in order to publish the edition of the newspaper. For example: editor, news reporter, photographer, and writers. Publish the newspaper; the newspaper can be in paper, video, or multimedia format. timeline of the major events with brief explanations/pictures. stories for each important event that occurred during this significant period during the Civil Rights Movement. editorials and letters to the editor for the editorial page. Who were the leaders in the march? Who were the supporters? Who opposed them? Who were the important political figures? What were their views? What political events took place prior to these events? What was the geography like, and did geography play any role or have any influence in the march? What was the media of the time saying about the events? Work together to develop your newspaper. Divide your tasks fairly, but share ideas and suggestions. After researching and creating your own newspaper for the Selma to Montgomery march, discuss in class what influence you think the media had on these events. What effect did the research you did to publish your newspaper have on your knowledge of the Civil Rights Movement and the March from Selma to Montgomery? The Voting Rights Act of 1965 was passed shortly after the March. What role did the March play in this? Cite sources to support your response. What were the effects of the Voting Rights Act? Students will demonstrate cognitive and/or skill knowledge of telecommunications, including locating information related to the Selma to Montgomery March.